Nearly any type of disagreement can escalate into litigation. When that happens, you can depend on the experienced civil litigation attorneys of The Williams Firm. The Firm has a successful track record in dispute resolution through negotiation, mediation, alternative dispute resolution (ADR), and at trial. To discuss the specifics of your legal matter, please contact a civil litigation attorney at the Firm’s Walnut Creek office today. The Firm’s civil litigation attorneys are easy to deal with yet exceptionally skilled and experienced. Clients appreciate that they clearly communicate complex legal issues involved, the steps in the legal process, and developments in the case. 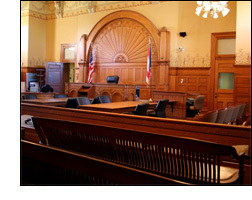 The Firm’s dispute resolution attorneys provide aggressive representation to both individuals and business clients. They know when and how to stand up for a client’s rights and they do not back down. The goal is always to resolve the matter as quickly and cost-effectively as possible. While aggressive, the Firm’s civil litigation attorneys are highly professional. They know that the strongest voice in a courtroom or at the negotiation table is not necessarily the loudest. They approach litigation in a strategic, intellectual, and dispassionate manner. They do not disparage opposing counsel or inflame a situation that may already be highly emotional. Strong negotiators as well as formidable litigators, the Firm’s civil litigation lawyers are often able to resolve disputes outside of court. Contact the civil litigation lawyers at The Williams Firm.